Update 4/30/18: Tagged 30 Locus Award finalists and wrote observations. Update 2/10/18: Added recommendations from RHorton's The Year's Best Science Fiction and Fantasy, 2018 Edition. Update 2/7/18: Added links to all 5 Asimov's stories. Here is the annotated 2017 Locus Recommended Reading List for short fiction, sorted by score to highlight the stories that made it into the "year's best" anthologies so far (GDozois, JStrahan, NClarke, RHorton) and "year's best" lists of prolific reviewers (GDozois, RHorton, RSR, SFRevu, JMcGregor). 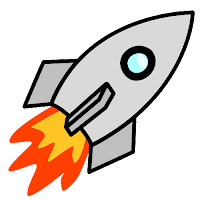 Moreover, 74 of the 113 science fiction & fantasy stories in the Locus list (65%) are in RSR's Year-To-Date page. That means one can follow the Year-To-Date page over the course of the year and read stories that are likely to make it to the Locus list. The Novella, Novelette and Short Story categories each had 10 finalists. Novella: No surprises, the top 8 were finalists; Only 2 were not already finalists for another award or recommended by prolific reviewers. Novelette: It was surprising the top 2 were not finalists. Short Story: No surprises, the top 10 had 8 finalists; Only 1 finalist was not already a finalist for another award and/or included in a "year's best" anthology. Most (%): F&SF had 2 finalists out of 3 stories in the list; Tor Novellas had 8 finalists out of 14 stories; Uncanny had 4 finalists out of 8 stories; Asimov's had 2 finalists out of 5 stories; Tor.com had 5 finalists out of 14 stories. Least: Clarkesworld no finalists even though it had 9 stories in the list (including the top 2 novelettes); Ditto for Lightspeed with 12 stories in the list. Four anthologies each had one finalist. There were 2 finalists out of 9 stories by Campbell Award-eligible writers. Locus Finalists: No surprises, every Locus finalist was in the Locus recommended reading list, so no write-in candidates made the cut. Hugo Finalists: 15 of 18 finalists were in the Locus list (yellow highlights), with 13 also being Locus finalists (orange highlights). 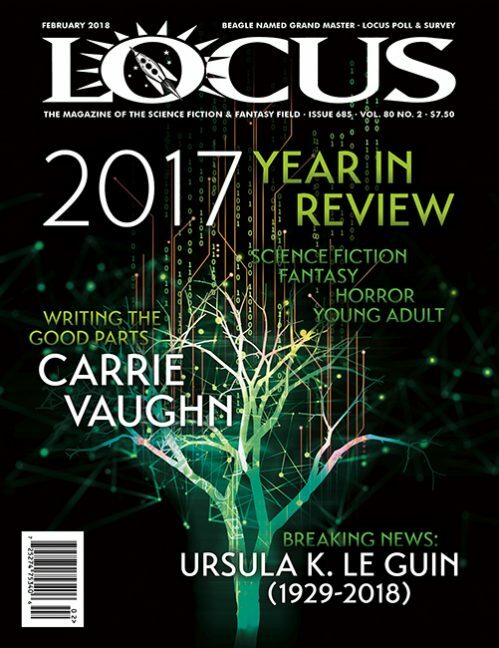 Hugo finalists missing from the Locus list include one novelette and two short stories (links to 2017 Best SF/F page). Nebula Finalists: 11 of 18 finalists were in the Locus list (yellow highlights), with 9 also being Locus finalists (orange highlights). 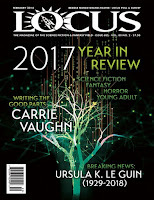 Nebula finalists missing from the Locus list include one novella, three novelettes, and three short stories (links to 2017 Best SF/F page). Sturgeon Finalists: All 11 finalists were in the Locus list, with 6 also being Locus finalists (orange highlights). Looks like they moved up with points from RHorton, but still show under 0 as well. Fixed, thanks for the correction.